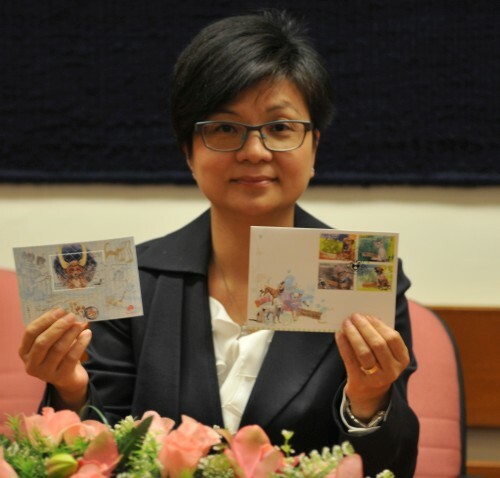 Aiming to raise public awareness of respect for animal rights, to protect and care of animals, so that they can enjoy a respectable life and health. 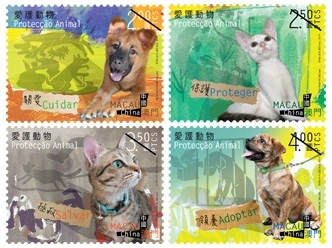 Macao Post will issue the stamp theme "Animal Protection" on 28th April, 2014. 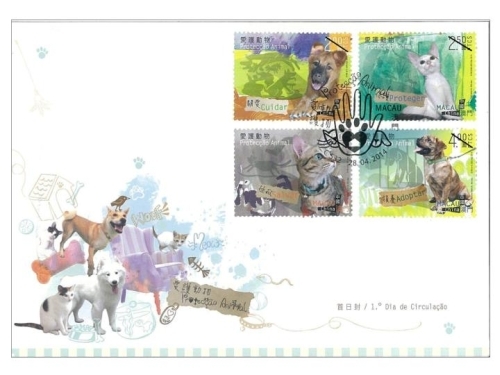 This issue includes a set of four stamps and one souvenir sheet. 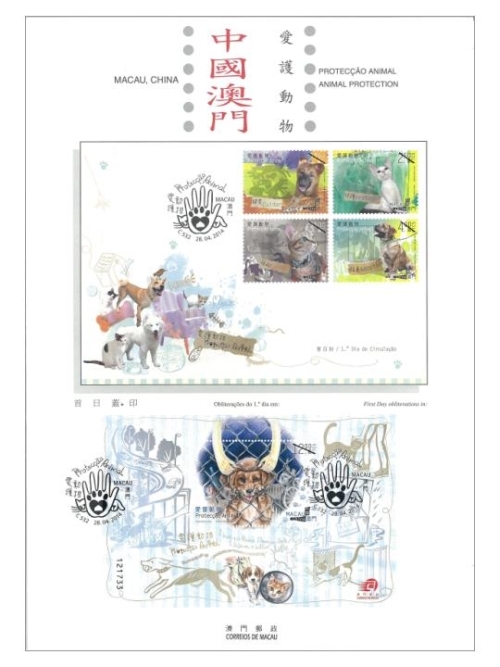 The illustration of stamps are based on animals’ true stories of abandonment, the shadow of each animal reflected what its past was, the stamps highlighted the messages of "Care", "Protect", "Save" and "Adopt". 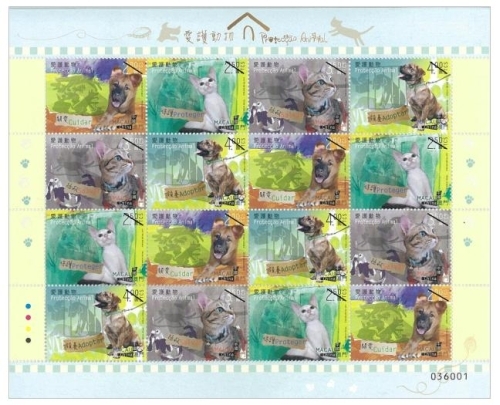 The souvenir sheet is applied with lacquer in a house shape, to promote that giving a shelter to the pets is important. 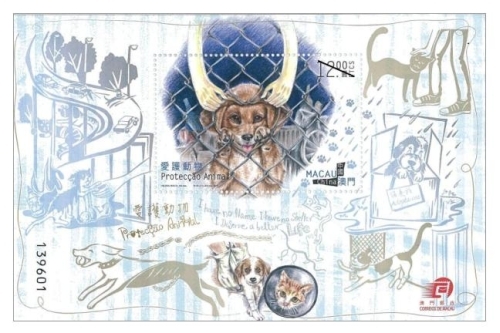 The stamp designer of this issue is Ms. Helena Man In, Ng, and the text of the information brochure is written by the Anima – Society for the Protection of Animals (Macau). 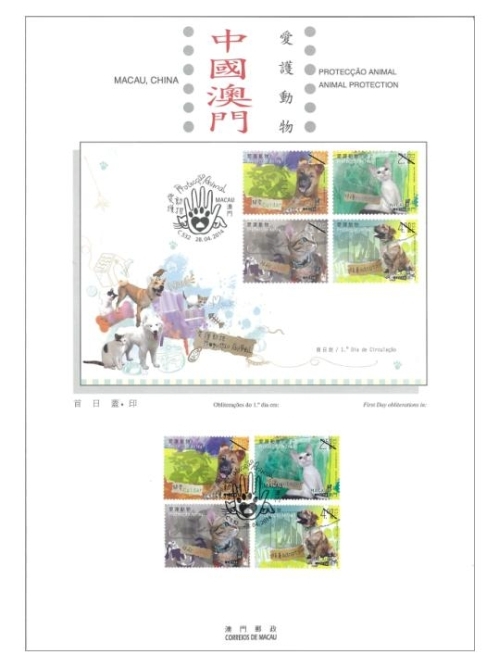 This is the fifth issue in 2014. 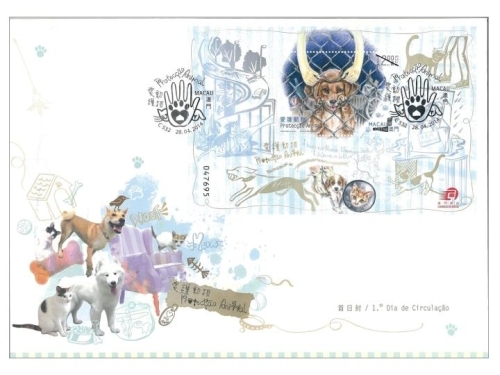 The previous issued stamps are "Lunar Year of the Horse" on 03/01/2014, "140th Anniversary of Conde de São Januário General Hospital" on 06/01/2014, the label stamp "Lunar Year of the Horse" on 14/02/2014 and "130th Anniversary of Macao Post" on 01/03/2014. 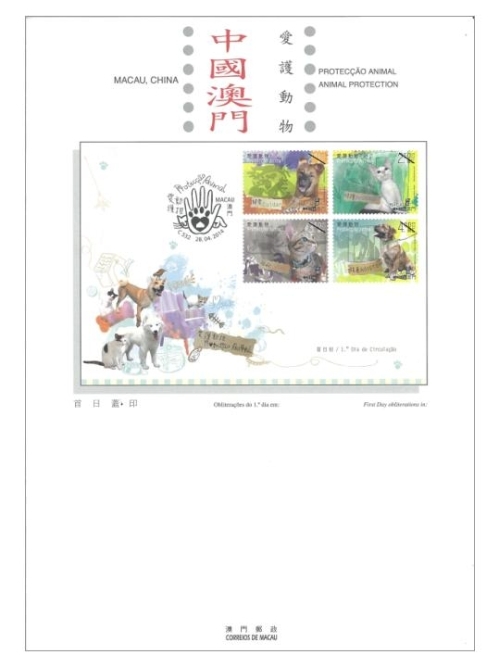 Technical Data of Stamp "ANIMAL PROTECTION"